Despite growing awareness among Jamaicans of children with autism, there still needs to be more acceptance of the disorder. 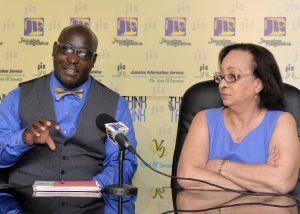 Professor of Child Health, Child Development and Behaviour at the University of the West Indies (UWI), and Patron of the Jamaica Autism Support Association, Professor Maureen Samms-Vaughan, tells JIS News that many persons with autism spectrum disorder who go undiagnosed are contributing significantly to the society. “We need to start embracing persons with autism spectrum disorder, as they are a part of our community, and so they need to be better understood and integrated into our community,” she says. Professor Samms-Vaughan says many children with the mild form are not diagnosed until they enter high school, with some not being diagnosed until adulthood. “Children who are very severe get diagnosed earlier, around age two, while the milder children might get diagnosed in high school, when they may display behaviour that indicates that they do not understand the social cues,” she notes. She explains that children are diagnosed using the spectrum of the disorder as well as IQ testing. “Some autistic persons are brilliant in a specialised area, especially mathematics and science,” she points out. Professor Samms-Vaughan notes that “many people went to school with persons that are on the spectrum, who were probably considered just a little odd, or a little socially awkward, or were never the life of the party…they quietly did their work; but many of these persons go undiagnosed”. As a result of being considered odd by other children, she adds, autistic children are often the victims of bullying and teasing. Autism is one of the most common chronic conditions affecting youngsters, with one in every 68 children affected. The disorder affects boys more than girls, with one in every 42 boys and one in every 189 girls being born with the condition. “It means one boy in every other primary-school class of 40 children, and one girl in every year group, if there are five classes in each year group,” Professor Samms-Vaughan outlines. She says that autism affects children’s ability to communicate and interact with others, adding that they might also display behaviour that may be deemed unusual. Other symptoms of the condition include delayed, absent or unusual speech. She further notes that autistic children’s non-verbal communication can also be affected, and they might not interact well with their peers or they may interact in an unusual way. Professor Samms-Vaughan says many children on the spectrum also have fine-motor coordination problems, causing them to have delayed writing, which is one of the features turning up in the high-school setting. These students usually have issues with penmanship, and copying things off the board. She further points out that other symptoms of children on the spectrum include repetitive behaviour, where they get upset with changes, as they like to do the same things over and over. She explains that approximately half of children with autism have intellectual disability. However, she adds that even the other half of the children that are not intellectually impaired also have tremendous difficulty because of their social interaction and their communication problems. “The children that are severe, everybody knows they go to special schools. It’s the children that are mild and have normal IQs and normal cognitive development that have the greatest challenge in being integrated in a regular classroom setting,” Professor Samms-Vaughan explains. She recounts a recent conversation with the mother of an autistic child, which revealed that she had tried unsuccessfully to get the child into 32 schools. Attorney-at-law and parent of an autistic child, Ricardo Sandcroft, tells JIS News that his child was assessed as mildly autistic. He recounts that when the family went to the school for the assessment, it was a major conflict, as teachers were not used to having students on the autism spectrum in school. Mr. Sandcroft says their first response to these cases is “take him to a school that deals with special needs”. The father says he did not take that response kindly and proceeded to “advocate for a change in the curriculum, where they would respect the fact that there would be more children in the school system with special needs”. He says the school obliged and he has since seen a great change in the system at the institution in accommodating him as well as other students found to also be on the spectrum. Mr. Sandcroft highlights that children with special needs learn differently, and so the school has adopted the A Beka system, which uses scores of pictures. The father says this has led to a support programme being developed at the school for parents who have children with disabilities and autism. He identifies that many parents do not want to readily admit that their child has special needs, further noting that in addition to the emotional trauma they have to deal with, caring for a child on the autism spectrum is costly. Additionally, the social exclusion that the child experiences at school is also another issue that Mr. Sandcroft has had to deal with. He says that as there are many challenges that come with having a child with the disorder, he encourages parents to become a part of the Jamaica Autism Support Association, as the organisation can assist with financial and moral support. For her part, Professor Samms-Vaughan says parents can also utilise behaviour therapy, or early intervention and early stimulation programmes, to treat children with autism. She also refers to State support such as the Jamaica Council for Persons with disabilities or the Programme of Advancement Through Health and Education (PATH), with which families may register for assistance.